What do I mean by lifelong learning attributes for career advancement? How will these benefit you as a career newbie seeking career success and advancement? What does it mean by lifelong learning? As someone new to the working world, I am sure a lot of you are eager to advance quickly through the corporate ranks. You want to gain that promotion as fast as possible. But gaining that advancement isn’t one big step. It is made up of many small steps. In these small steps you should carry with you lifelong learning attributes. It is these learning attributes that will make you gain the skills and knowledge required for further growth. And you will discover that growth is not just from a professional point of view but also as a person. So what is lifelong learning? Quite simply, it means continuous self-cultivation. The Chinese have a set of proverbs that I feel truly reflects what lifelong learning attributes are. I have penned them down with some explanation of what they mean and how you can put them into practice as part of your formula for career advancement. In Mandarin, it is pronounced “Huo Dao Lao, Xue Dao Lao”. Learning is an intrinsic part of existence. As we live and grow old, we should never stop learning. In every life stage, there are more things to learn. It shouldn’t stop. So it is with our professional life, in every step of the corporate ladder there are new things to learn. Learning is a continuous cycle. It should not stop. If you want career advancement, internalize one of the life longlearning attributes – continuous learning. The moment we stop we regress. Just because you feel you have learned everything at that stage doesn’t mean you stop. This brings me to the next attribute. In Mandarin, it is pronounced “Xue Wu Zhi Jing”. It means there are no limits to learning. The earlier lifelong learning attribute speaks about continuity. This speaks about no boundaries. You should not limit the fields of what you learn. In life, if we are to improve ourselves, learning is infinite. In our professional life, we should approach what we learn as infinite too. What we can learn is limitless; when you feel you have mastered a skill - perfect it. When you feel you have perfected a skill, learn new ones. When you gain new knowledge and feel it is your advantage, you will soon lose it. Because in our fast paced world, others catch up the moment you stop learning. Amongst the life longlearning attributes, this one speaks about limitless. Pronounced “Hao Xue Bu Juan” in Mandarin it is loosely translated, as the love for learning should never tire you. The first two lifelong learning attributes talk about continuous learning and no boundaries. Learning is dynamic. It is ever moving, ever changing. Hence, we should never be tired of it. When you have the stamina for self-cultivation then the rewards are manifolds in life. So it is in our professional life, you must never be tired of learning. The stamina for continuous learning is a basic requirement for career advancement. Pacing yourself in the marathon of your career and learning each step of the way without being tried of the process greatly increase your chances of advancement. This lifelong learning attribute forces you to self-reflect. Self-reflection is an important process in self-directed learning. In Mandarin it is pronounced, "Xue Er Hou Zhi Bu Zu”. Translated - it means that only after learning we know what we do not know. This lifelong learning attribute of self-reflection creates a sense of insufficiency and thus generates an intrinsic want to learn. In our workplace, think about what you have learned and how have this made you realize what little you know. I implore you to self-reflect on what little you know. Only this will make you improve yourself be it skills or knowledge. Amongst all the life long learning attributes, this is one of my favorite. I like it because it gives learning a sense of holism and humility. In Mandarin it is pronounced as “San Ren Sin Pi You Wo Shi”, translated to mean if there were three persons walking one is bound to be my teacher. We can all learn from one another regardless of the demographic profiles and other parameters you want to envelope it. To adapt this lifelong learning attribute, you need to be humble. Be mature enough to know anyone can teach us anything. The adage that the teacher appears when the student is ready is true when it comes to this particular lifelong learning attribute that speaks about humility. So, you want career advancement? Try internalizing these lifelong learning attributes of continuous learning, learning has no boundaries, the stamina to keep learning, the sense of insufficiency and most of all the attribute of humility. 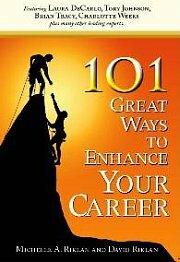 Career Enhancement Tips For First Jobbers: 3 Key Tips to Grow Your Career Practical career enhancement tips for first jobbers. 3 key tips to help grow your career.